The digital revolution has steadily worked its way through practically every industry and now it’s expected to bring huge financial benefits directly to healthcare marketing and MarTech providers. 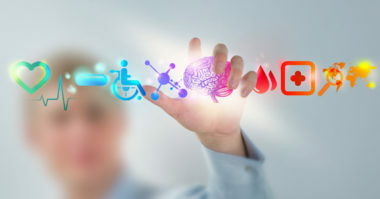 According to the report, Healthcare Analytics Global Market–Forecast to 2022, healthcare marketers and brands are predicted to garner a whopping $33.5 billion globally by 2022. This billion-dollar windfall will be largely attributed to the prevalence and popularity of healthcare analytics spending. TargetMarketingMag.com explained how digital technology will continue to pay off for healthcare marketing for many years to come. Interestingly, Research and Markets reported that the U.S. will be dispensing most of the billions, with a number of major American companies receiving a share of the dollars, such as IBM, Oracle, Cerner, Epic, McKesson, Information Builders, Optum, MedeAnalytics, Verisk, and Allscripts healthcare solutions. Why will so much spending occur in the U.S.? Experts say that the primary reason this will happen in the U.S. is because of a wave of legal mandates from federal regulation, such as the Affordable Care Act. While there’s no denying that healthcare record digitization will present huge opportunities to both healthcare marketers and MarTech companies, there are some other factors that could offer lucrative long-term potential for healthcare professionals. For example, the aging population in the U.S. will increase the demand for more healthcare. And MarTech providers will be able to deliver the advanced analytics required to show which patients and markets will need to be aided first. This is due to the impressive evolution of predictive analytics, which can detect which patients have the highest risks of certain diseases and medical complications. This insight will enable healthcare marketers to take a protective approach and target these at-risk patients with products, services, and messages designed to safeguard their health and wellbeing. As a result, healthcare brands will be able to position themselves to patients as partners that are focused on helping them throughout their healthcare journeys. According to industry experts, it all comes down to the value of analytics. These analytics can assist healthcare organizations in their efforts to reduce the number, as well as decrease the length, of patients’ hospital stays. In addition to making healthcare more efficient and affordable, these analytics will help improve the overall quality of patient care, meet strict regulatory compliance guidelines, and provide early detection of chronic diseases and cases of fraud. The digitization of patient health records has ushered in the rapid development and widespread popularity of mobile medical apps, telemedicine, and wearable devices. Some of these advances include patient portals to access physicians, video conferencing with clinicians, nursing call centers, and remote medical monitoring devices that can allow for convenient care at home. While all of these innovations sound extremely promising from a healthcare marketing standpoint, they can sound extremely confusing to patients. In today’s complicated healthcare environment, few patients really understand the healthcare that they’re receiving or know how to provide this kind of care for themselves. Plus, many patients are also without insurance or completely in the dark about the way their insurance works. To avoid similar confusion for patients in the future, healthcare marketers will need to clearly convey the benefits of healthcare digitization to patients in order to make them feel better about including it in their lives. Examine the future of healthcare marketing. Contact MDG Advertising.